So I had been using the OnePlus One for a while now. I have given you my thoughts on it the other day. 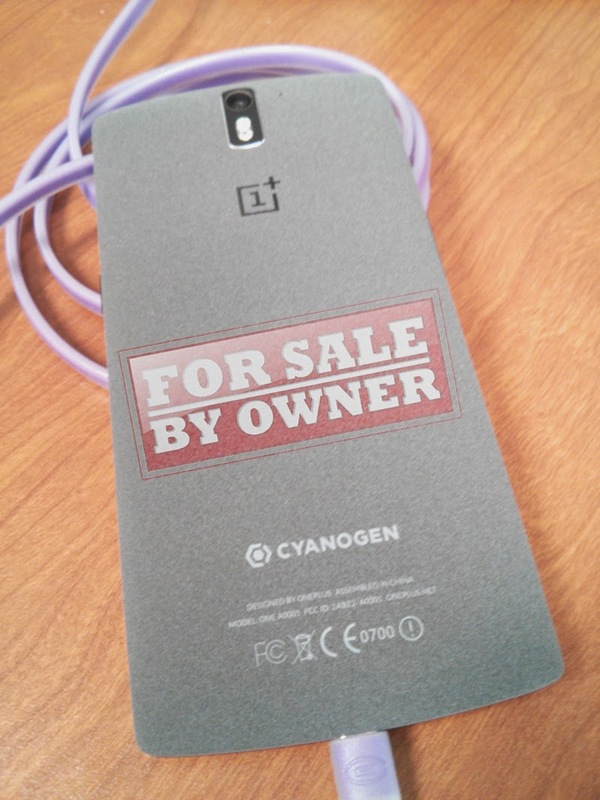 Now, my experience is clearly my own as +Sylvain Le Bourhis has been having a very great experience - as have many in the OnePlus community apparently. That being said - my experience has been one that I'm ready to give it up and move back to my G2 (even though the GPS is having some weird issues). What was it that pushed me over the edge? Is it a broken device? Not at all, and there'll be things that I will miss from it as well. Mainly, as I stated on my previous post it's just had many glitches. Nothing individually which are terrible or make for an unusable device, but together add up to a not so fun experience. The saddening part is when I've talked about it in the communities and forums most of the response is "well, just flash another ROM". I get that this is a device for the more developer friendly, however that doesn't absolve the company from addressing the issues. Which for the most part they've ignored customers with feedback. Bluetooth - often when I want to connect a new device it can't seem to see it after scanning, so I'll have to power off Bt and back on a few times and eventually it sees it. Touch screen - besides where I've had times where the screen won't work at all, there have been times that the sensitivity nearly drops off ... it's not a 'lag' issue, but I'll have to really TOUCH. I guess I'm just used to screens on my Nexus and G2 where the slightest touch work. This will be where I can touch and start to drag a page or map and then it'll just stop as if I had let go. Camera - sometimes while recording a video (whether using the Google camera app or the built in) I have had it just stop recording. Sometimes around the minute mark (not at a minute, but like 1:04) or sometimes at the 5... sometimes even after 30 seconds. Sometimes I won't have an issue at all. But it's just unreliable for some reason. Other things I just missed out on. For me it was a bit large; but still usable. Not being able to 'cast screen' like I could on a nexus or G2... but that's a failing of the Chromecast app. And then there's the upside down microUSB. I know.. petty, but every device I've ever had was reverse of how this is. Let's not forget the whole oddity, in general, that is OnePlus... the weird invite only system, the smashing contest, and the most recent debacle with the 'women only contest'. I'm tired of the 'games'. I did like the back - it gave a little more reassurance with the friction to not let it slide so easily off of things. A near Nexus like experience where you can play - even though I didn't want to. The battery is damned good. Anyways... just thought I'd fill you in on my experience. I hope I'm an isolated incident; by the manner in which I've been treated by the customer care, I'm definitely 'isolated'.